About Our Fees: Fees are dependent upon the number of practices per week you desire. The ‘processing fee’ is to cover the PayPal costs associated with paying via credit card either on-site or online. *We are no longer able to send out flyers! Fontana Unified School District is now using “Peach Jar” as an online method to reach parents about youth organizations like ours making it difficult to connect with the community. Please reach out to us if you are interested in our Fontana location. To purchase your uniform please click here: Uniforms Sportswear and Gear tab. PayPal transactions incur a $3.00 processing fee. Fees applicable to future locations may vary based on gym rental costs. 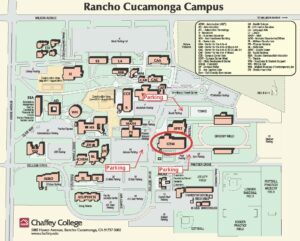 Join Us In Rancho Cucamonga At Chaffey College! Tuesday: 6:30 p.m. – 7:30 p.m.
Thursday: 6:30 p.m. – 7:30 p.m.
Come Check Us Out For A FREE TRIAL PRACTICE! No Obligation! Chaffey College: 5885 Haven Ave. Rancho Cucamonga in the Lower Gym near the pool area. Coach Ron has a passion for basketball & a desire to provide the fundamentals to children in a positive and uplifting way… Coach Ron has identified this niche and offers a program which focuses entirely on helping children learn the fundamentals of the game. This program has been an amazing experience for my son and I cannot speak highly enough about it! If you have a child who wants to learn basketball then this is the program to go to! Awesome coach! Very passionate about teaching and basketball. It’s all about the fundamental. Highly recommended. Ron is an excellent coach! Coach Ron is awesome! He is teaching the boys the fundamentals of basketball while also mentoring them with a word of the week. Highly recommend this program!! Since my son has started Fast Break program he has became more determined about life not just basketball. I just want to thank coach Ron and the staff we will continue to be apart of the Fast Break program and keep becoming great! We love coach Ron, he is the best there is. My son has improved his game drastically thanks to coach.